Do you remember your dad asking: “Do you think money grows on trees?” or “Do you think I’m made of money?” Well, yes, as a matter of fact, we kind of did. If anything, that attitude is multiplied many times by today’s kids.The time to teach our children about money is when they’re young, so when they grow up and move out they’re not shocked by the fact that toilet paper doesn’t automatically appear in the bathroom. The Federal Reserve Bank of Chicago launched a financial literacy campaign for its district known as Money Smart Week. It worked with local organizations to put on events to educate people about money. Money Smart Week has two national partners: the American Library Association and the Financial Planning Association. These organizations have planned events in almost every part of the country. Rumor has it that Benjamin Franklin may be making an appearance at some of them. You can help your kids or students become financially literate by using some of the interactive games on this site. Money Minutes offer short video explanations of different facets of money handling.If you are in the Chicago area, the Federal Reserve Bank of Chicago joins in by hosting a free breakfast with author Beth Koblinger on Thursday, April 19. Koplinger wrote the New York Times bestsellers: Make Your Kid a Money Genius (Even If You’re Not) and Get a Financial Life: Personal Finance in Your Twenties and Thirties. We asked Lois Carlock, the education manager for Ent Federal Credit Union in Colorado, a few questions about how to educate our kids about the smart use of money. 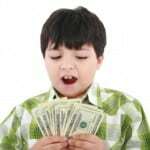 Do children emulate their parents’ spending habits? Yes, but not always. If children grow up in a home where one parent is a spender and the other a saver, they certainly get mixed messages. 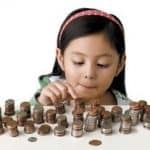 If parents argue over money, children can grow up thinking money is a bad thing and can totally miss the lesson about regular saving and smart spending being the basis of good money management. What are some good, practical ways to teach children the value of a dollar? Teaching by example and incorporating money lessons into everyday situations are at the top of my list of ways to teach the value of a dollar. One mom told me her child called her ATM card the “magic card,” because putting it in the machine resulted in money spitting out. In this situation, the mom could have explained how people earn money and deposit it in their account for withdrawal later. You can talk about how hard you worked to earn the money and that’s why all withdrawals and purchases are taken seriously. If you are comfortable doing so, you can make your budget a family affair. You don’t have to tell your children how much money you make, but you can explain your budget categories; talk about how you decide how much to allocate for expenses; and how once the money is gone in a certain category – like entertainment – there are no movies or eating out till next month. Letting the kids decide how to spend the entertainment money is a great way to get them involved in family decisions. Also, grocery shopping can be a good way to teach the value of a dollar. Is it a better deal to buy generic, price bulk foods or use coupons? My kids grew up knowing if it wasn’t on sale and I didn’t have a coupon, we wouldn’t be buying it. How do you get the message across about “wants” vs. “needs”? This is a tough one because kids see so much advertising that tries to make them think they “need” that toy, game or even a vacation. Once children understand the mission of advertising, it’s easier to explain everything they see is usually a want. Talking about how important it is to budget for needs, like a place to live, warm clothes and good food to eat, can help them understand why these things have to be paid for before anything else. You can also talk to them about smart shopping. Does the thing they want have to be new? Can they wait till something they want is on sale? Have they saved enough to buy something they’ve been wanting for a long time? Often, kids change their minds about what they want several times when they are using their own money to buy it. Is an allowance a good idea or a bad one? This is really a decision each family needs to make depending on the money situation in the household. I believe it’s important for kids to have their own money so they can learn to save and spend wisely. Whether this is an allowance, being paid for chores or having a job like babysitting, house-sitting or dog walking, the money they earn is theirs. The most important thing to remember is setting the ground rules. If the allowance is tied to doing certain chores every week, will there be a deduction if the chores aren’t done? 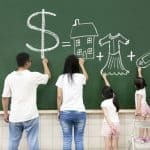 If the kids aren’t doing enough chores to accumulate the money they need for something they want to buy or do, how will you handle the situation? If you decide to advance a payment, there should be consequences like a little interest they will have to pay. You are trying to teach your children to handle money responsibly, so let them fail – and make sure they understand the concept of interest and how loans work in real life. Another important thing about allowance or payment for chores is to set a payday every week and stick to it! It’s not fair to tell your children you’ll pay them tomorrow or next week. After all, in the real world we do the work and then get paid. And, pay them in small bills so they can save some of their money – I like to teach that at least 10 percent of all money received should be saved. 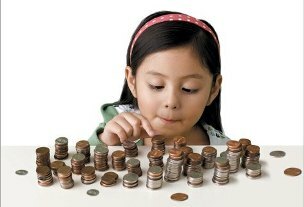 Some parents believe in matching saved amounts – even up to 100 percent. This strategy reinforces the important of saving and often gives children the incentive they need to learn to save. What is the single most important tip you can offer to parents or other caregivers when teaching kids about money? Well, I actually have three tips I think are really important: You can’t have everything. Life is full of choices. And learn to save now.